Students must apply at least one semester before their Ph.D. qualifying examination. Admission to the Designated Emphasis in Development Engineering is determined by the Dev Eng Faculty Advisors on a rolling basis throughout the academic year. Candidates are encouraged to apply early in their degree, to maximize benefits from participation in the Dev Eng community. Before applying, interested Ph.D. students are required to arrange a consultation meeting with one of the Development Engineering Faculty Advisors (Dan Fletcher or Clair Brown).  In case of further consultation needs, please see the DevEng staff lead Yael Perez (pyael@berkeley.edu). For initial inquiries about the Designated Emphasis in Development Engineering and about the field in general, students can contact dev.eng@berkeley.edu for more information over email, phone, or an in person meeting.